Raise a Green Dog! 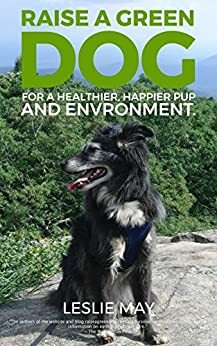 : We're presenting Daily Green Dog Tips for Dogster! We're presenting Daily Green Dog Tips for Dogster! Starting this past Monday we are providing Daily Green Dog Tips for Dogster website visitors and email subscribers. This week's focus is on organic lawn care. And we have lots of great green tips planned in the coming weeks to talk about including disposing of the doo, handmade and repurposed gifts for the Holidays, and lots, lots, more to help your dog go green for a happier, healthier dog and environment! We're also sharing our daily tips on our Raise A Green Dog Facebook page every day, so head on over and 'like' us, K? We hope you enjoy the info that we'll be sharing over the coming months. A lot of people don't realize you can compost dog poop. Our company partners with EnviroWagg, LLC to make sure at least the waste that we pick up is turned into useable compost. Looking forward for other green tips you will share!